Homeopathy is one of many natural alternative options that could relieve symptoms but ultimately does not cure. 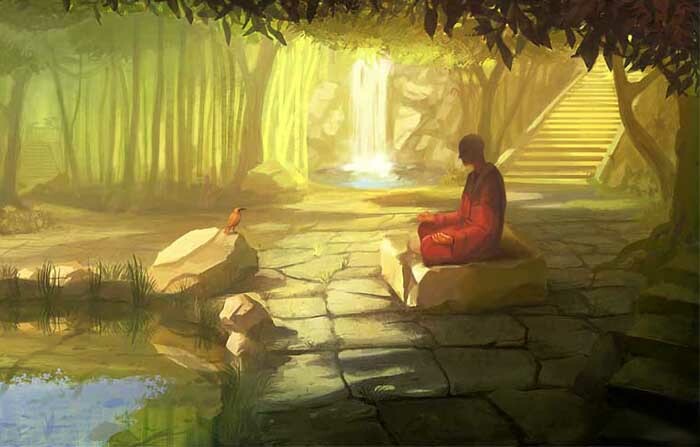 In my thinking, people are cured when they are programmed to do so, as all of reality is a holographic illusion - a simulation - or experience in time. You live your life according to your DNA programming. Homeopathy was created in 1796 by Samuel Hahnemann (April 10, 1755 - July 2, 1843), based on his doctrine of "like cures like", according to which a substance that causes the symptoms of a disease in healthy people will cure similar symptoms in sick people. Homeopathic remedies are found to be no more effective than a placebo, and homeopathy is widely considered a pseudoscience. Hahnemann believed that the underlying causes of disease were phenomena that he termed miasms, and that homeopathic remedies addressed these. The remedies are prepared by repeatedly diluting a chosen substance in alcohol or distilled water, followed by forceful striking on an elastic body. Dilution usually continues well past the point where no molecules of the original substance remain. Homeopaths select remedies by consulting reference books known as repertories, and by considering the totality of the patient's symptoms, personal traits, physical and psychological state, and life history. Homeopathy lacks biological plausibility and the axioms of homeopathy have been refuted for some time. The postulated mechanisms of action of homeopathic remedies are both scientifically implausible and not physically possible. Although some clinical trials produce positive results, systematic reviews reveal that this is because of chance, flawed research methods, and reporting bias. Overall there is no evidence of efficacy. Continued homeopathic practice, despite the evidence that it does not work, has been criticized as unethical because it increases the suffering of patients by discouraging the use of medicine that works, with the World Health Organization warning against using homeopathy to try to treat severe diseases such as HIV and malaria. The continued practice, despite the lack of evidence of efficacy, has led to characterizations within the scientific community of homeopathy as nonsense, quackery, or a sham. The British House of Commons Science and Technology Committee has stated: "In our view, the systematic reviews and meta-analyses conclusively demonstrate that homeopathic products perform no better than placebos. The Government shares our interpretation of the evidence. Hahnemann's formulation of homeopathy is often referred to as classical homeopathy. Classical homeopaths use one remedy at a time, and base their prescription also on incidental or constitutional symptoms. 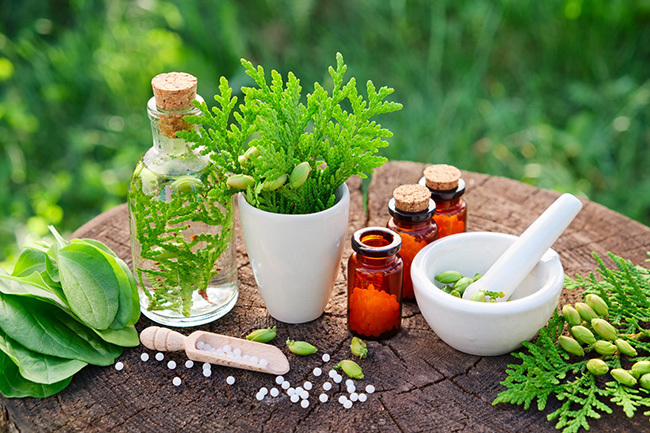 However, homeopathic remedies are often used both by professionals and by the public based on formulations marketed for specific medical conditions. Some formulations use a 'shotgun' approach of the most commonly indicated single remedies in mixture form, while others, such as those by Heel and Reckeweg, are proprietary mixtures marketed for specific diagnostic critera based on various diagnostic systems. Many members of the public are not familiar with classical homeopathy, and equate these practices with homeopathy; others are familiar with the classical approach but regard these as legitimate variants; while others consider it a misuse of the term. Use of non-classical approaches is confined mainly to places where over-the-counter preparations are popular and where many doctors use natural medicines in a conventional clinical setting. In Hahnemann's day, the conventional theory of disease was based on the four humors. Mainstream medicine focused on restoring the balance in the humors, either by attempting to remove an excess of a humor (by such methods as bloodletting and purging, laxatives, enemas and nauseous substances that made patients vomit) or by suppressing symptoms associated with the humors causing trouble, such as by lowering the body temperature of patients who were feverish. By contrast, Hahnemann promoted a view of 'spiritual factors' as the root cause of all disease. Some later homeopaths, in particular James Tyler Kent, put even more emphasis on spiritual factors. Vitalism was a part of mainstream science in the 18th century. In the twentieth century, medicine discarded vitalism in favor of the germ theory of disease, following the work of Louis Pasteur, Alexander Fleming, Joseph Lister and many others. Modern medicine sees bacteria and viruses as the causes of many diseases, but Kent, and some modern homeopaths regard them as effects, not causes, of disease. Others have adapted to the views of modern medicine by referring to disturbances in, and stimulation of, the immune system, rather than the vital force. As previously stated, homeopathy stemmed in part from the idea of medical similars, the idea that 'like cures like' while Hahnemann was translating into German the Materia Medica  of William Cullen, the so-called Scottish Hippocrates. On reading that Cinchona bark (which contains quinine) was effective because it was bitter, Hahnemann felt this implausible because other substances were as bitter but had no therapeutic value. To understand the effects of Cinchona bark, he decided to take it himself, and saw that his reactions were similar to the symptoms of the disease it was used to treat. At least one writer has suggested that Hahnemann was hypersensitive to quinine, and that he may have had an allergic reaction. 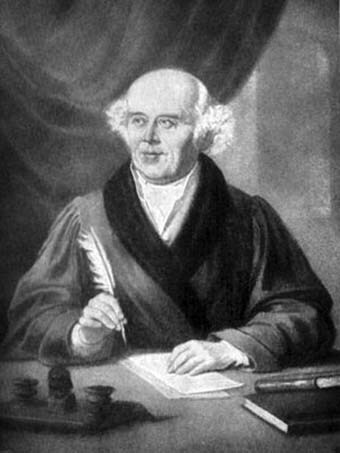 Yet, this proving experiment by Hahnemann was by no means unique, as others before him had tried the same approach, such as, for example, Anton von Storck [1731-1803], "in the 1760's, who advocated treatment by cautious use of poisons." Indeed, Hahnemann had studied briefly in Vienna  where Stšrck eventually became head of the University. The proving idea had also been recommended by the great Swiss medical botanist, Albrecht von Haller, [1708-77], who Hahnemann hugely admired, and whose Materia Medica he translated in 1806. Therefore, it might be said, that the proving experiment came to Hahnemann from several previous sources. For Hahnemann, the whole body and spirit was the focus of therapy, not just the localized disease. Hahnemann spent a lot of time with his patients, asking them not only about their symptoms or illness, but also about their daily lives. This gentle approach contrasted with the violent forms of heroic medicine common at the time, which included techniques such as bleeding as a matter of course. Homeopathy came to the USA in 1825 and rapidly gained popularity, partly because the excesses of conventional medicine were extreme there, and partly due to the efforts of Constantine Hering. Homeopathy reached a peak of popularity in 1865-1885 and thereafter declined due to a combination of the recognition by the establishment of the dangers of large doses of drugs and bleeding, and dissent between different schools of homeopathy. regular use of very high potencies. In the 1930s the popularity of homeopathy waned, especially in Europe and the USA, partly due to advances in conventional medicine and partly due to the Flexner Report (1910), which led (in the USA) to the closure of virtually all medical schools teaching alternative medicine. Homeopathy had a renaissance in the 1970s, largely because of George Vithoulkas in Europe and the USA, that continues to this day. 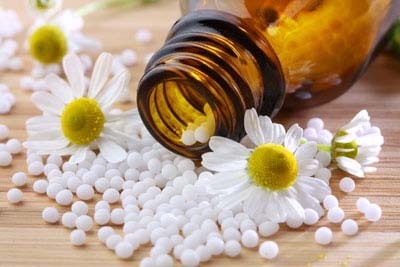 The increased popularity of homeopathy since the 1970's accompanied a rise in interest in alternative medicine. In the USA, in 1995, retail sales of homeopathic medicines were estimated at US$201 million, and growing at 20% per year, according to the American Homeopathic Pharmaceutical Association, and the number of homeopathic practitioners increased from fewer than 200 in the 1970's to approximately 3,000 in 1996. Homeopathy is founded on the 'Principle of Similars', first expressed by Hahnemann in the exhortation similia similibus curentur or 'let likes cure likes'. This is the exact opposite of 'contraries' upon which the Galenic medicine of his day was based, which Hahnemann initially practised and in which he had been trained. Obtaining nothing but poor results from it, he gave up medicine c.1783 and devoted himself to translation work. While doing translation work he settled upon two new therapeutic principles: single drugs and similars. Seemingly, myriad reported cures of the past using mixed drugs simply did not reveal which drug had cured a specific sickness. He thus preferentially opted for single drugs. Then, when reading in the literature about specific cures using single drugs, he decided that better reported cures came from similars rather than from contraries. His undending frustrations with Galenic medicine are well documented. Pondering over these new maxims for many years led him to regard them as superior to the Galenic maxims of mixed drugs in strong dose used to oppose the force of a disease [contraries]. To him, these revelations also provided an explanation why Galenic medicine did not cure. These dormant ideas of similars & single drugs were later amply confirmed for Hahnemann in the Cinchona proving and in the numerous other provings that followed. They also pointed to his early work on venereal disease in which he had seen close similarity between Mercury poisoning and the symptoms of Syphilis. Similars also underpinned his promotion of Belladonna as a specific for Scarlet Fever. The 'law of similars' is a very ancient medical maxim, but its modern form is based on Hahnemann's conclusion that a constellation of symptoms induced by a given homeopathic remedy in a group of healthy individuals will cure a similar constellation of symptoms in the sick. Symptom patterns associated with various remedies are determined by 'provings', in which healthy volunteers are given remedies, often in crude dose, and the resulting physical, mental and spiritual symptoms are recorded by the provers and compiled by observers into a Drug Picture. Homeopathic practitioners rely on two types of reference in prescribing. The Homeopathic Materia Medicae comprise alphabetical indexes of Drug Pictures organized by remedy, and describe the symptom patterns associated with individual remedies. The Homeopathic repertory consists of a vast index of sickness symptoms, listing all remedies associated with a specific symptoms. The first such Homeopathic Repertory was George Jahr's Repertory, published in 1835 in the German Language. It contained three volumes of 1052, 1254 and 200 pages respectively. Such Repertories increased in size as time progressed. Jahr's Repertory contains 190 remedies, while Lippe's had 298, Lee's 648, and Kent's 586. Homeopathic remedies are prepared by serial trituration [grinding] with lactose [usually 1 part in 10 or 1 part in 100] of insoluble substances, such as Quartz and Oyster shell, and by dilution of a substance with succussion, or shaking between dilutions, of soluble substances. These original serial potentisations by Hahnemann were performed using a 1 part in 100 or centesimal scale, or 1 part in 50,000 or Quintamillesimal [LM or Q potencies]. Some practitioners then developed a decimal scale of 1 part in 10. These latter became extremely popular througout Europe in the first half of the 19th century, but were replaced with the higher dilutions, especially in the US and Britain, in the 20th century. Remedies are thus given say 30c, 6x, LM3 to designate the degree of potentisation they have received. The remedies in homeopathy are often so dilute that they are statistically unlikely to contain any molecules of the original substance. At first, Hahnemann tested in homeopathic provings, substances commonly used as medicines in his time [such as Antimony and Rhubarb] and also poisons like Arsenic, Mercury and Belladonna. He recorded his first provings in the Fragmenta de viribus in 1805 [27 drugs] and later in his Materia Medica Pura, which contained 65 proven drugs. Hahnemann was most heavily engaged in proving activity throughout the 1790s and early 1800s, but he never abandoned this abiding yen for experimentation. Another phase of proving commenced with his Miasm theory and The Chronic Diseases, published in 1828, and containing 48 freshly proven drugs. Kent's Lectures on Homoeopathic Materia Medica (1905) lists 217 remedies, and new substances are being added continually to contemporary versions. 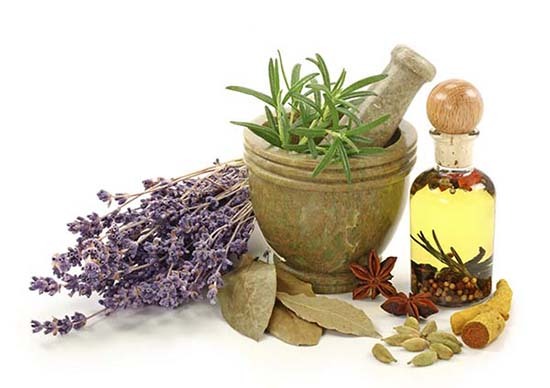 Homeopathy uses many animal, plant, mineral, and chemical substances of natural or synthetic origin. Examples include Natrum muriaticum (sodium chloride or table salt), Lachesis muta (the venom of the bushmaster snake), Opium, and Thyroidinum (thyroid hormone). Other homeopathic remedies, ('isopathic' remedies') involve potentisations of the agent or product of the disease. Rabies nosode, for example, is made by potentizing the saliva of a rabid dog. Some modern homeopaths are exploring the use of more esoteric substances, known as imponderables because they do not originate from a material substance but from electromagnetic or electrical energy presumed to have been captured by direct exposure (X-ray, Sol (sunlight), Positronium, and Electricitas (electricity) or through the use of a telescope (Polaris). Recent ventures by homeopaths into esoteric substances include Tempesta (thunderstorm), and Berlin wall. Today, about 3000 remedies are used in homeopathy; about 300 are based on comprehensive Materia Medica information, about 1500 on relatively fragmentary knowledge, and the rest are used experimentally in difficult clinical situations based on the law of similars, either without knowledge of their homeopathic properties or through knowledge independent of the law of similars. Examples include: the use of an isopathic (disease associated) agent as a first prescription in a 'stuck' case, when the beginning of disease coincides with a specific event such as vaccination; the use of a chemically related substance when a remedy fails yet seems well-indicated. A good example of this is found in the Bowel Nosodes which were introduced by the British homeopaths, Edward Bach (1886-1936), John Paterson (1890-1954) and Charles Edwin Wheeler (1868-1946) in the 1920s. Their use is based on the variable bowel bacterial flora associated with persons of different homeopathic constitutional types. Though receiving more attention today, the Bowel Nosodes are rarely used outside British homeopathy. More recently this was included the use of substances based on their natural classification (the periodic table or biological taxonomy). This last approach is considered to be promising by some in the homeopathic community, because it allows for grouping remedies and classifying the ever-burgeoning Materia Medica, but is rejected by many purists because it involves speculation about remedy action without proper provings. There are many methods for determining the most-similar remedy (the simillimum), and homeopaths often disagree about the required remedy. This is due in part to the complexity of the idea of 'totality of symptoms'; homeopaths do not use 'all' symptoms, but decide which are the most characteristic; this evaluation is the aspect of case analysis requiring the most knowledge and experience. Finally, the Drug Picture in the Materia Medica is always more comprehensive than the symptomatology that one individual ever exhibits. These factors mean that a homeopathic prescription remains presumptive until it is verified by testing the effect of the remedy on the patient. The law of similars is more of a guiding principle than a 'scientific' law. It is not built on a hypothesis that can be falsified; a failure to cure homeopathically can always be attributed to incorrect selection of a remedy: I have often heard physicians tell me that it was due to suggestion that my medicines acted so well; but my answer to this is, that I suggest just as strongly with my wrong remedy as with the right one, and my patients improve only when they have received the similar or correct remedy. The most characteristic - and controversial - principle of homeopathy is that the potency of a remedy can be enhanced (and the side-effects diminished) by dilution, in a procedure known as dynamization or potentization. Liquids are successively diluted (with water, or alcohol for water-insoluble materials) and shaken by ten hard strikes against an elastic body (succussion). For this purpose, Hahnemann had a saddlemaker construct a special wooden striking board covered in leather on one side and stuffed with horsehair. It can be viewed at the Hahnemann Museum in Stuttgart. Insoluble solids are diluted by grinding them with lactose (trituration). Higher dilutions are considered to be stronger 'deep-acting' remedies. T h u s   h o m e o p a t h i c   r e m e d i e s   t h a t   h a v e   a   h i g h   " p o t e n c y , "   w i t h   o v e r w h e l m i n g   p r o b a b i l i t y ,   c o n t a i n   o n l y   w a t e r ,   b u t   t h i s   w a t e r   i s   b e l i e v e d   b y   p r a c t i t i o n e r s   o f   h o m e o p a t h y   t o   r e t a i n   s o m e   ' e s s e n t i a l   p r o p e r t y '   o f   t h e   s u b s t a n c e   o n c e   p r e s e n t .   A   k e y   c r i t i c i s m   i s   t h a t   a n y   w a t e r   w i l l ,   a t   s o m e   t i m e   i n   i t s   h i s t o r y ,   h a v e   b e e n   i n   c o n t a c t   w i t h   m a n y   d i f f e r e n t   s u b s t a n c e s .   T h u s ,   a n y   d r i n k   m a y   b e   c o n s i d e r e d   t o   b e   a n   e x t r e m e   d i l u t i o n   o f   a l m o s t   a n y   a g e n t   y o u   c a r e   t o   m e n t i o n .   T h u s ,   c r i t i c s   a r g u e   t h a t   a l m o s t   e v e r y o n e   i s   a l m o s t   a l w a y s   r e c e i v i n g   h o m e o p a t h i c   t r e a t m e n t   f o r   a l m o s t   e v e r y   c o n d i t i o n .   P r o p o n e n t s   o f   h o m e o p a t h y   r e s p o n d   t h a t   t h e   m e t h o d i c a l   d i l u t i o n   o f   a   p a r t i c u l a r   s u b s t a n c e ,   b e g i n n i n g   w i t h   a   1 0 %   s o l u t i o n   a n d   w o r k i n g   d o w n w a r d ,   i s   d i f f e r e n t ;   e x a c t l y   w h y   t h i s   i s   d i f f e r e n t   i s   n o t   c l e a r . High potency remedies were first produced in the 1830s. Though Hahnemann wished to see 30c as standard potency in homeopathy, the majority of his contemporaries preferred tinctures and 3x, while others, like Caspar Jenichen [1787-1849], General Korsakoff [1788-1853] and Dr N Schreter [1803-1864], were busy raising potency to heights beyond his wildest dreams. Such high potencies could not be made by traditional methods, but required succussion without dilution (Jenichen), higher dilution factors (LM potencies are diluted by a factor of 50,000), or machines which integrate dilution and succussion into a continuous process (Korsakoff). Such a Korsakoff potentising machine can be seen here and here. Some old potentising devices can be seen here. The practitioner's choice of what potency is appropriate is subjective; it involves his or her opinion of how "deep-seated" the disease is; whether it is primarily physical or more mental/emotional; the patient's sensitivity based on the practitioner's intuitive assessment or previous reactions to remedies; and the desired dosing regimen (e.g. low potency repeated often, vs high potency repeated seldom). Generally, French and German homeopaths use lower potencies than their American counterparts. Most homeopaths believe that the choice of potency is secondary to the choice of remedy: i.e. that a well-chosen remedy will act in a variety of potencies, but an approximately matched remedy might act only in certain potencies. By 1816, Hahnemann was concerned at the failure of his homeopathic remedies to produce lasting cures for chronic diseases. He found that "...the non-venereal chronic diseases, after being time and again removed homoeopathically É always returned in a more or less varied form and with new symptoms." To explain this, Hahnemann introduced the miasmatic theory, that three fundamental "miasms" are behind all the chronic diseases of mankind: syphilis, sycosis, and psora. As a point of historical accuracy, the miasm theory was first published in 1828 in The Chronic Diseases, their Nature and Homoeopathic Treatment. Though he first suspected miasms in 1816, he took 12 years of silent study before he published his views. It is possible, for example, that his move from Leipzig to Coethen in the spring of 1821 was a major turning point in his views, for it is there that he first returned to the study of Freemasonry under the guidance of his Patron, the Grand Duke Ferdinand of Anhalt-Coethen. He adopted a reclusive lifestyle while residing in Coethen and his new inclination towards metaphysical pursuits is also arguably visible in his sudden adoption of Olfaction [inhaling the remedy], which he continued to use until his death in Paris in 1843. It has been suggested that Olfaction derives from Arabian medicine and the art of Perfumery. The miasm of psora, he concluded, was behind most of the chronic diseases known to medicine. Miasma, from the Greek for 'stain', was an old medical concept, used for "pestiferous exhalations". The sense of this is indicated by Hahnemann's Note 2 to ¤11 of the Organon: "...a child with small-pox or measles communicates to a near, untouched healthy child in an invisible manner (dynamically) the small-pox or measles, É in the same way as the magnet communicated to the near needle the magnetic property..."
According to Hahneman, miasmatic infection causes local symptoms, usually in the skin. If these are suppressed by external medication, the disease goes deeper, and manifests itself as organ pathologies. In ¤80 of the Organon he asserted psora to be the cause of such diseases as epilepsy, cyphosis, cancer, jaundice, deafness, and cataract. Even in his own time, many followers of Hahneman, including Hering, made almost no reference to Hahnemann's concept of chronic diseases. Today, some homeopathic practitioners accept that Hahnemann's theory does not hold up in light of current knowledge in immunology, genetics, microbiology and pathology, and recognize that Hahnemann neglected to identify genetic, congenital, metabolic, nutritional, and degenerative diseases, and failed to differentiate the multitude of different infectious diseases. However, they believe that some elements of his theory are valid. For instance, they believe that the fundamental cause of disease is constitutional (i.e. the susceptibility to becoming ill), and that it is contrary to good health to suppress symptoms, especially skin eruptions and discharges. They also accept Hahneman's concept of latent psora, the early signs of an organism's imbalance that indicate that treatment is needed to prevent the development of more advanced disease. There are estimated to be more than 100,000 physicians practizing homeopathy worldwide, with an estimated 500 million people receiving treatment. More than 12,000 medical doctors and licensed health care practitioners administer homeopathic treatment in the UK, France, and Germany. Since 2001, homeopathy is regulated in the European Union by Directive 2001/83/EC; the latest amendments make it compulsory for member states to implement a simple registration procedure for homeopathic remedies. Homeopathy was brought to Britain by Dr Quinn around 1827, though two Italian homeopathic doctors Drs Romani and Roberta had been employed 2 years previously by the Earl of Shrewsbury based in North Staffordshire; however, they soon returned to Naples as they could not tolerate the English climate! Homeopathy in the UK quickly became the preferred medical treatment of the gentry and aristocracy, including royalty. At its peak in the 1870s Britain had numerous homeopathic dispensaries and small hospitals as well as large busy hospitals in Liverpool, Birmingham, Glasgow, London and Bristol, almost exclusively funded and run by members of the local gentry. For example, the Bristol hospital was funded and run by several generations of the W.D. & H.O. Wills tobacco family, while the Liverpool hospital was built by members of the Tate family of sugar importers, who also funded the Tate Gallery in London. In the UK, homeopathic remedies may be sold over the counter. Today the UK has five homeopathic hospitals where treatment, funded by the National Health Service, is available and many regional clinics. Homeopathy is not practised by most of the medical profession, but there is a core of public support, including from the Prince of Wales. All members of the Royal family use homeopathy, as can be seen from the royal warrants displayed at the head of Ainsworth's Homeopathic Pharmacy in London who are the Chemist's Royal. The largest organization of homeopaths in the UK, the Society of Homeopaths, was founded in 1978 and has been growing steadily since then; it now has 1300 members an increasing proportion of whom are women. In India, homeopathy has been practized since the middle of the 19th century, and is officially recognized. India has the largest homeopathic infrastructure in the world, with 300,000 qualified homeopaths, 180 colleges, 7500 government clinics, and 307 hospitals. In the USA, homeopathic remedies are, like all healthcare products, regulated by the Food and Drug Administration. However, the FDA treats homeopathic remedies very differently to conventional medicines. Homeopathic products do not have to be approved by the FDA before sale, they do not have to be proved to be either safe or effective, they do not have to be labeled with an expiration date, and they do not have to undergo finished product testing to verify contents and strength. Unlike conventional drugs, homeopathic remedies do not have to identify their active ingredients on the grounds that they have few or no active ingredients. In the USA, only homeopathic medicines that claim to treat self-limiting conditions may be sold over the counter; homeopathic medicines that claim to treat a serious disease can be sold only by prescription. In Germany, about 6,000 physicians specialize in homeopathy. In 1978 homeopath - extended medicine and herbalism, were recognized as "special forms of therapy", meaning that their medications are freed from the usual requirement of proving efficacy. Since January 1, 2004 homeopathic medications, with some exceptions, are no longer covered by the country's public health insurance. Most private health insurers continue to cover homeopathy. In Switzerland homeopathic medications were formerly covered by the basic health insurance system, if prescribed by a physician. This ended in June 2005. The Swiss Government, after a 5-year trial, withdrew insurance coverage for homoeopathy and four other complementary treatments, claiming that they did not meet efficacy and cost-effectiveness criteria. (This evoked some controversy since part of the government's own study showed that three of the therapies, including homeopathy, did in fact meet these criteria.) This change applies only to compulsory insurance; homeopathy and other complementary medicine is covered by additional insurance, if the treatment is provided by a medical doctor. there exist nonphysical forces that connect us to higher consciousness.